Sermon preached on 2 Samuel 3 by Rev. 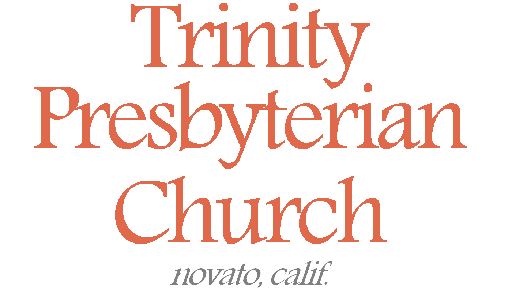 W. Reid Hankins during the Morning Worship Service at Trinity Presbyterian Church (OPC) on 12/27/2015 in Novato, CA. Ambition. In preparing for today’s sermon, I was reading through some quotes on ambition. As you might expect, some quotes spoke very positively about ambition. Some quotes spoke very negatively about ambition. In other words, ambition can be a very good thing, or a very bad thing. And this is a theme we’ve had to deal with a bit in our sermon series through 1 and 2 Samuel. Remember how when David had the chance to murder Saul, his men thought he should take. it Well, though David did have the ambition to be king, he didn’t want to become king through a wicked action. And so he did not murder Saul. On the flip side, we are reminded today about chapter 1, where that Amalekite claimed to give a mercy killing to King Saul, thinking this would be good news to David, and that David would reward him (verse 10). That Amalekite had ambition to rise to a good position in David’s kingdom, but he exercised his ambition in an evil way, and was executed because of it. And so ambition is not inherently wrong or right. But your ambition must be for the right things, and even then exercised in a righteous way. Or maybe another way say it is that your ambition needs to be paired with righteous thinking. If your ambition is governed by righteous thinking, then your ambition will probably do very well. If on the other hand, your ambition is governed by wicked thinking, then your ambition will surely be your downfall. And it’s interestingly how this chapter get us to think about both ambition and right thinking, using the language of “news.” There is a lot of news in this passage. In verse 1, Ishbosheth gets news of Abner’s death and becomes discouraged. Verse 4 mentions the past news of Saul and Jonathan’s death, and how that caused Jonathan’s son to be crippled when the son’s nurse flees in haste and drops the boy. How people respond to such news and how they think of such news reveals something of their ambitions and goals. And of course we’ve seen how David responded to the news of these three people’s death. He thought it bad news. You might think in ambition, David would think such news was good news. But not David. Because he met his ambition to be King with righteous thinking. So let’s think about this combination of ambition with right thinking today. Our first point then will be to consider the news of Ishbosheth’s death. Well, the context for Ishbosheth’s death is Abner’s death. Remember, Abner was military commander for Saul’s house, and really the main thing holding Ishbosheth’s kingdom together. And so we are not surprised that when Abner is killed suddenly two of Ishbosheth’s own army captains turn against him, verse 2. These were people who were presumably loyal men of Benjamin territory, though it is noted that they were immigrants essentially, so maybe their loyalty wasn’t as strong as if they had been actually blood relations to Ishbosheth. And so these two men, Beerothites from Benjamin, deceptively enter the house of Ishbosheth, under the guise of getting wheat, and murder Ishbosheth in the middle of his own house while he was taking a nap. They struck him, stabbed in him the stomach, killing him, and then they decapitate him. After that they take the head and flee to David at Hebron with the news of Ishbosheth’s death. How sad for Ishbosheth that two of his own trusted leaders did this; of course this is a reminder that just because someone is in a place of leadership does not guarantee that they will act righteously, or always exercise godly ambition. So to be clear, why did these two men do this to Ishbosheth? Well, there seems to be enough here to speak to that. The house of Saul was crumbling. After Abner died, there were only two real candidates for leadership left in Saul’s house: Ishbosheth and Mephibosheth. But Mephibosheth is a cripple, so he’s not likely going to be king. And Ishbosheth is now discouraged by Abner’s death. In fact all Israel is troubled. Up to this point, Ishbosheth has not shown any real strength of leadership. And so surely these two men who killed him saw the kingdom in great distress, and on the verge of failing. They evidently reason that it is time to jump ship. They decide that they need to be a part of David’s kingdom. They realize they need to act to become a part of David’s kingdom. And of course, they don’t just want a place in David’s kingdom, they obviously want a good place in his kingdom. And so they apparently reasoned that they thought if they kill Ishbosheth and bring this news to David, that this will clear the way for David to become king over all Israel, which will in turn make David very pleased with them. We see this ambition by the fact that after they kill Ishbosheth, not only do they immediately flee to go tell David, but they bring proof of what they did. They bring the very head of Ishbosheth to show to David that they were the ones to do this. And so this is some serious ambition by these two guys. They clearly had some good goals in their ambition. They were wanting David’s kingdom to be established over all Israel. That is a good ambition. And they wanted to get out from under Ishbosheth’s kingdom and be a part of David’s kingdom. That too was a good ambition in and of itself. And so in light of those goals, they act as they do, and they think they are serving both God and David in this. Don’t miss that in verse 8. Not only do they think David will be pleased, but they say this to David, “Here is the head of Ishbosheth, the son of Saul your enemy, who sought your life; and the LORD has avenged my lord the king this day of Saul and his descendants.” So do you see that they basically see themselves as serving God in this, as if God would be pleased by this. They basically imply that God used them to avenge David by using them to kill Ishbosheth. And so these two men have some serious ambition, ambition for the right things, and they even think their actions in living out their ambition was right. And so in the words of verse 10, they come to David thinking they have brought him good news. But this brings us to our second point. Our second point is to see how David declares that this is not good news. It’s interesting and awesome to see how David’ response to these two men after in verse 8 they basically tell him that God used them to avenge David. Look at verse 9. David does acknowledge how God has redeemed his life from all adversity. In other words, David doesn’t deny that God’s always been caring for him, saving him, and avenging him. David rightly affirms that. But David also immediately proceeds to condemn what they did. In verse 10 he uses the example to them of that Amalekite who claimed to mercy kill Saul. And then for them he says in verse 11, “how much more.” “How much more,” David says, “when wicked men have killed a righteous person in his own house on his bed? Therefore, shall I not now require his blood at your hand and remove you from the earth?” And so if the Amalekite thing was bad, this is far worse. These two men ruthlessly murdered an innocent man in his own home. And so David has them executed. We should recognize this is David as king sitting in a judicial capacity. You might remember that I mentioned in last chapter that Hebron was a city of refuge. That meant that if you killed someone, you could flee to such a city and not be put to death unless you first had a trial. Well, this is the trial for these two men. They came as their own accusers, and even had the evidence of Ishbosheth’s head in their hands. And so David finds them guilty. Not only does he have them executed, but their hands and feet are cut off, and they are publically hung. The hands and feet being removed probably reflect the nature of their crime; with their hands they stabbed Ishbosheth, and with their feet they fled the crime scene to go to David. And for them to be hung was a sign of God’s curse upon them, for it is written, “Cursed is everyone who hangs on a tree”. As yet a final display of how wrong these two men were, and to show an example of godly ambition, David has Ishbosheth’s head buried with Abner. That was an honorable and righteous thing to do, of course. And so how foolish of these two men! They had some good ambition, but it was not mixed with right thinking, and so it became bad ambition. In their incorrect thinking, they thought they brought David good news, and that they’d be rewarded. But they were wrong. Their ambition was foolish and presumptuous. And at it the end of the day, their ambition didn’t consider what righteousness demanded. And so we’ve read a lot of bad news in this passage. We read of the bad news of Saul’s house crumbling. Abner died. Saul and Jonathan had previously died. Now Ishobsheth had died. The house of Saul is in shambles. Only crippled Mephibosheth survives. And yet we do come to some good news in our passage. This brings us then to our third point for today, to see some good news. David is finally anointed as king over all Israel! David finally, after so long, comes to reign over a united kingdom. There’s some irony of sorts here. These two men had presumptuously claimed that God used them to hand over the kingdom to David and to avenge David. In one sense, this is actually true. God did use this. But of course that didn’t make it right for these two men to do this. We are reminded how sometimes God works his good purposes even through the sins of people. Remember, that’s how he saved his people back in Joseph’s day. Joseph’s brothers sinfully sold him into slavery, but God turned their evil around for good to raise Joseph to power in Egypt so he could save his brothers during the big famine. And we remember of course how God would later use the wickedness of the religious leaders in Jesus’ day who would arrest Jesus and turn him over to the Romans to get him crucified. But God used that to save us from our sins. And so this doesn’t justify the actions of these two wicked men. They were indeed guilty of murder. Their ambition was not governed by right thinking, and so it was expressed in wickedness. But it does nonetheless highlight the awesome power of God who is able to accomplish his wonderful purposes even through men’s wickedness. And so then chapter 5:1-5 shows the good news of David finally becoming king over all of Israel. What a wonderful culmination of all of this. The elders of Israel acknowledge that David is one of their own, their own flesh and blood. They recognize the past heroic service of David, that even before when Saul was reigning, he was already a leader and savior among them. And they also acknowledge that it’s God’s will for David to be their king. And so they make him king. What a glorious culmination of what we’ve been talking about for so many chapters. Remember, God first anointed David as king all the way back in chapter 16 of 1 Samuel. We’ve been talking about how David was already anointed king, but not yet serving as king. His kingdom had been inaugurated but not consummated. Well, now that all has changed. The not yet has become the already. The kingdom has been consummated in glory. Praise the Lord! This is good news indeed. And how David is proven right in all of this! So many times he could have used worldly ambition to try to get the throne. God allowed David to be tempted time and again in this way. But by the grace of God, David passed all the tests. David’s ambitions for the throne were governed by righteous thinking. He knew it would be wrong to strike the Lord’s anointed or to murder innocent blood, and so he would not allow his royal ambitions to act like that. And so when he is finally crowned here, David is vindicated. He was patient. He waited for the Lord to avenge him and establish him. And in the mean time he sought to act in righteousness, and in acting in a way consistent to his calling. Of course in all this, it’s ultimately God who is to be praised. That’s what David heralded in verse 9. He said, “As the LORD lives, who has redeemed my life from all adversity…” That’s who’s ultimately praised in this good news of David coming to the throne. God is rightly praised because God brought it about. It was God’s design, and David submit his ambitions then to the will of God. And so we are reminded then of how God establishes Jesus Christ’s kingdom. Again, David’s story must call us to look forward to Jesus Christ’s story. For David’s story anticipates the greater Messiah to come. Jesus also had ambition. He too had godly ambition. He submit his ambitions to the will of God. In fact that really was the heart of his ambition in the first place. John 6:38, Jesus said that he came from heaven not to do his own will, but the will of him who sent me. Or in John 4:34, Jesus said that his food is to do the will of God, and to finish his work. And what did that work entail? It was more than just the patient waiting in righteousness that David did in order to come to the throne. It involved submitting himself to worthless wicked men, to have them put him to death on the cross. It involved Jesus becoming accursed by God by hanging on the tree. He did all this to bear the sins of his people. Why? So, God could ultimately be the redeemer of his people like David declared in verse 9. Because how God could justly redeem and avenge a sinful people, except for the cross? That is how God makes right all his grace and mercy that he shows us his people. And so in doing this, Christ’s kingdom is established. In other word’s Christ’s ambition was to submit to God’s will. That meant his ambition was to secure a glorious kingdom through his willingness to submit to the evils of evil men, while even bearing the divine wrath toward sin. Jesus was tempted to express his ambitions a different way. Remember Satan’s tempting in the wilderness, that he could rise to the throne by bowing to Satan. Or remember Satan’s temptations to Jesus to get him to forgo the cross. But Jesus’ governed his ambitions by right thinking. He knew that the terrors of the cross, on the surface what probably sounded like bad news, would actually be good news. And indeed it is good news; the best of news; the gospel! For in this gospel, we have been given the offer to be saved from our sins and redeemed from all our adversity. And so like David, Jesus took the throne in righteousness, taking it after his resurrection. And his righteousness was the amazing righteousness that even loved enemies. Of course we saw something of that even with David; I mean who else would lament Saul’s death like David did, and honor Ishbosheth like this like David did. How much more then did Jesus love enemies in going to the cross. And it’s in that radical form of righteousness that Jesus’ kingdom was established. And it’s because of such gracious and merciful righteousness that you and I can receive this good news. That we too can be a part of Christ’s kingdom. And so as we conclude today’s message, we are reminded how we can enter into Christ’s kingdom. You see, it is good ambition to want to be in Christ’s kingdom. It’s good ambition to want to be in the right kingdom, and that’s the Messiah’s kingdom! And yet his kingdom is not one that flawed, sinful, humans that we are, can take hold of by ourselves. And so our ambition needs to be met with right thinking. These two wicked men tried to get into David’s kingdom by their actions, but their actions fell short. Even their ambition for the right thing didn’t help them. In other words, we are reminded of lessons such as, the end does not justify the means. And also that good intentions don’t trump God’s word. And so we trust again today in this good news, in this gospel. This is how we will be in Christ’s kingdom. That must be how our ambition is worked out in regards to entering into Christ’s kingdom. Our ambition must be submit to the right thinking that says there’s nothing we can do to impress God enough to let us in. We can’t bring some trophy of our works, like they did with Ishbosheth’s head, and think that God will reward us for it. Our only hope is to come empty handed and simply to the cross clinging. Well, for us then who are a part of Christ’s kingdom, we might ask a follow up question. How do we get a good position in Christ’s kingdom? In other words, these two men surely didn’t just want to be a part of David’s kingdom. Surely they wanted a good position in his kingdom. They were captains in their previous kingdom. Surely their ambition meant they wanted a good position in David’s kingdom. Well, remember that the twelve disciples discussed this with Jesus regarding his kingdom. Jesus answer in Matthew 20:26 was that if you want to be great in Christ’s kingdom, you must become a servant and a slave of others in Christ’s kingdom. To be greatest in his kingdom, you must become least. Of course this is surprising. It’s not the ambition of the world. But it is the ambition of those born from above. It’s an ambition of radical righteousness that puts others’ first in love and grace, even as Christ our Lord has done. Let us see how our ambition for godliness must be following Christ’s example. This topic of ambition is especially timely as we approach the new year. New year’s are typically a time for looking ahead and for new plans and for plotting our strategy for the coming year. In other words it is a time where we let our ambition do some forward thinking. May today’s passage remind us to submit our ambitions to the Lord’s will. Let’s not throw out ambition; Christ’s church needs men and woman of God with ambition; but we need godly ambition. As we look to the new year, let us seek to let our ambition plan ahead, but at the same time seek to govern it with the Word of God. Let’s pray to that end even now, committing this upcoming year to the Lord. Amen.